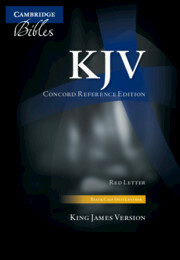 The Concord Reference Bible presents the King James Version of the Bible in an exceptionally clear and readable typeface. 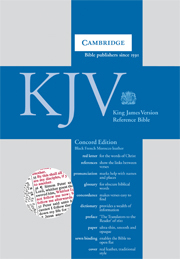 This edition offers a wealth of reference material in a leather binding – a glossary, concordance, dictionary of names and phrases, colour maps and gazetteer. 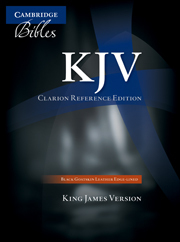 Bold-figure cross-references link passages of the text without cluttering the page. The words of Christ are printed in red. In addition, a presentation page and family record, India paper, gilt edges, ribbon markers and a fine leather binding make this a very attractive Bible.